Kids Will Rise and Shine with Jesus! This summer, introduce kids to Growing In The Son Vacation Bible School - a place where they can plant God's seeds and watch love grow! Transform your church and introduce children to life on the farm where they'll dig into the Bible and learn how they can grow in God. 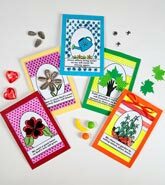 The message is reinforced with a daily seed packet which includes the Daily Message, Memory Verse and items representing the daily symbol which children take home to share with their family. Growing In The Son VBS is FREE with your $60.00 yearly subscription to Christian Games and Crafts! To learn more about this VBS Program, check out Growing In The Son Overview. 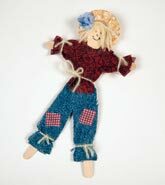 See other VBS programs by Christian Games and Crafts such as Bible Boot Camp 1 day VBS.